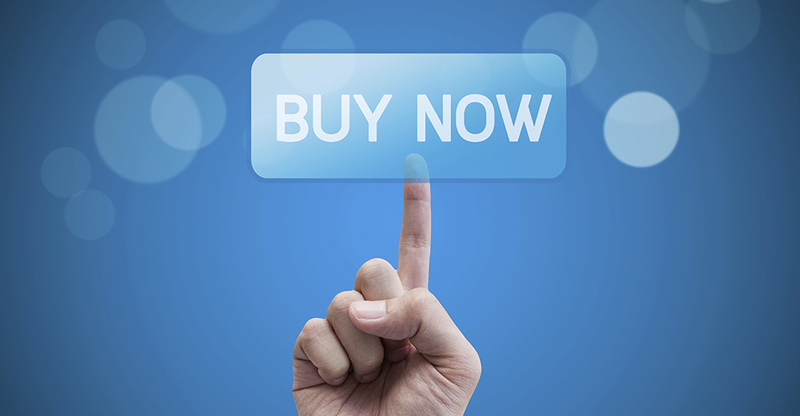 One of the hot new trends in digital marketing is the buy button. Rumors have been swirling that Pinterest is getting ready to introduce a buy button as early as this year and Instagram has already added a direct link button to some of its ads. Now Google is getting in on the action by adding a special buy button to some of its search ads. The button will appear next to mobile search ads and when people click on it, they will be taken directly to a Google checkout page. The goal is to make the mobile purchase process as seamless as possible for searchers and circumvent the sometimes frustrating experience of trying to buy on a site with a cart and checkout section not optimized for mobile. This is one more step in Google’s evolution from a pure search engine to an e-commerce destination for consumers, who will now be able to see Google Shopping ads alongside search ads featuring a buy button on their search engine results page. For now the buy button is only available on mobile and only appears next to search ads, not organic search results. Google also recently introduced shopping ads on YouTube, which feature a kind of buy button of their own. Unlike the buy button that will appear next to search ads, this YouTube click-to-shop button will take people to the relevant product page on the merchant’s site. This will likely result in an increased return for YouTube advertisers, but still isn’t as radical a compression of the purchase path as the new search ads. What impact these innovations will have on e-commerce is anyone’s guess, but marketers will definitely want to experiment with them. For more information about marketing trends, check out our e-book, the Digital Marketer’s Guide to Success in 2015.